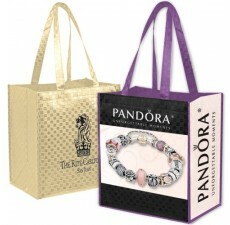 We've asked our customers and this is certainly the bag for you! 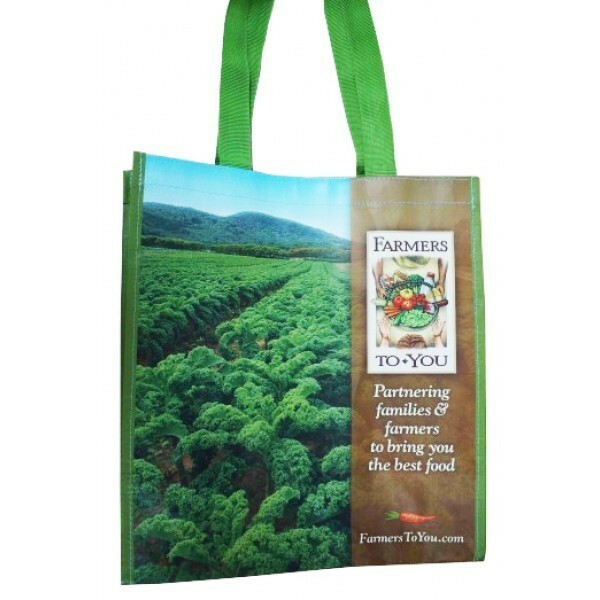 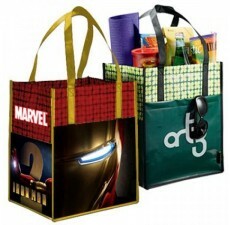 Proudly promote your brand on the attractive smooth finish of our Farmers To You Bag. 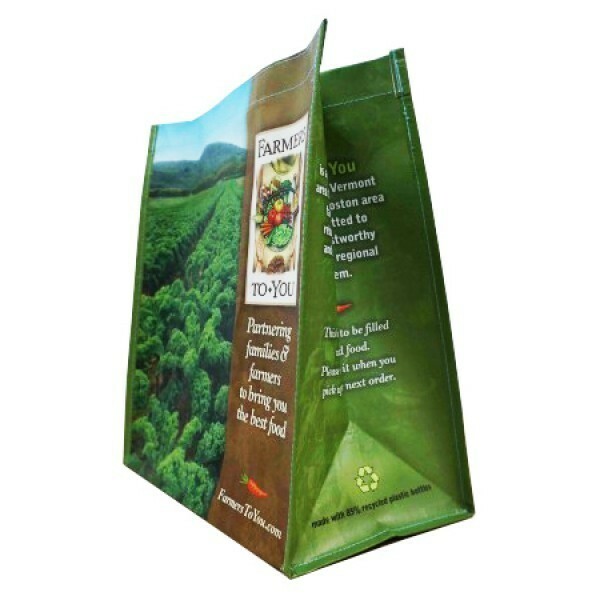 One of our thickest recycled bags yet, we start with 85% recycled water bottles (RPET) spun into a luxe, waterproof fabric and included full color graphics all over the outside surface. 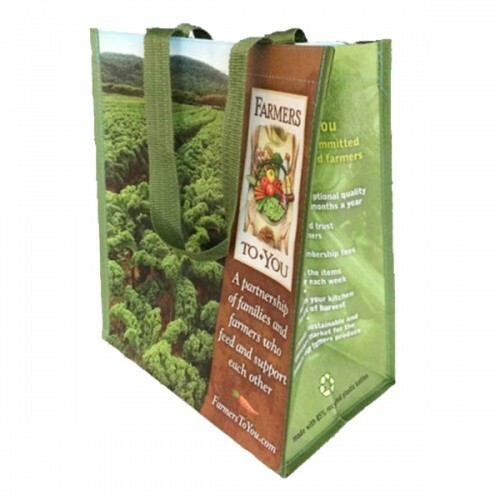 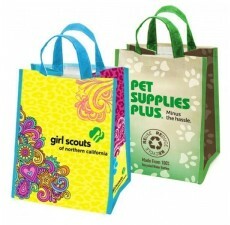 Complete your custom bag design with options such as snap closure, webbed handles, or hangtags and get ready for a successful marketing campaign. 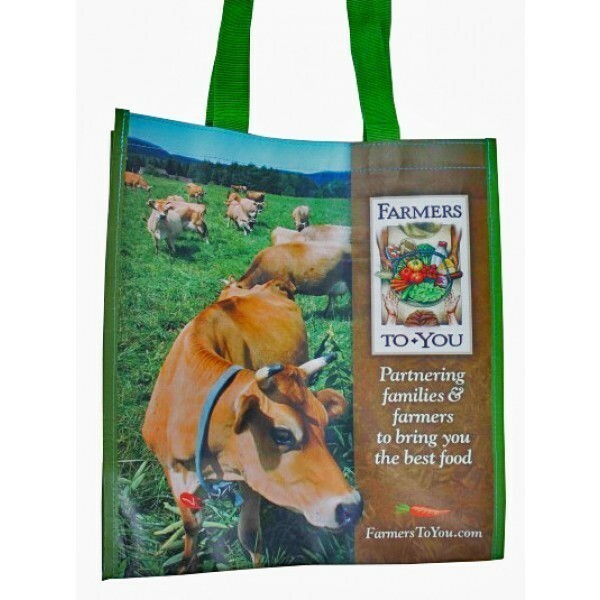 The striking matte finish of our Farmers To You Bag will clearly display detailed logos - even photographs. 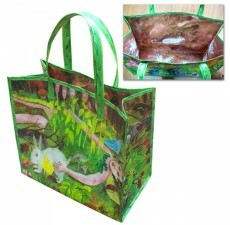 Custom handles, bag sizes, pockets and closure options are ready for whatever your designing needs may be.